A New York Times bestseller, The Night Gardener is a Victorian ghost story with shades of Washington Irving and Henry James. More than just a spooky tale, it’s also a moral fable about human greed and the power of storytelling.The Night Gardener follows two abandoned Irish siblings who travel to work as servants at a creepy, crumbling English manor house. But the house and its family are not quite what they seem. Soon the children are confronted by a mysterious spectre and an ancient curse that threatens their very lives. 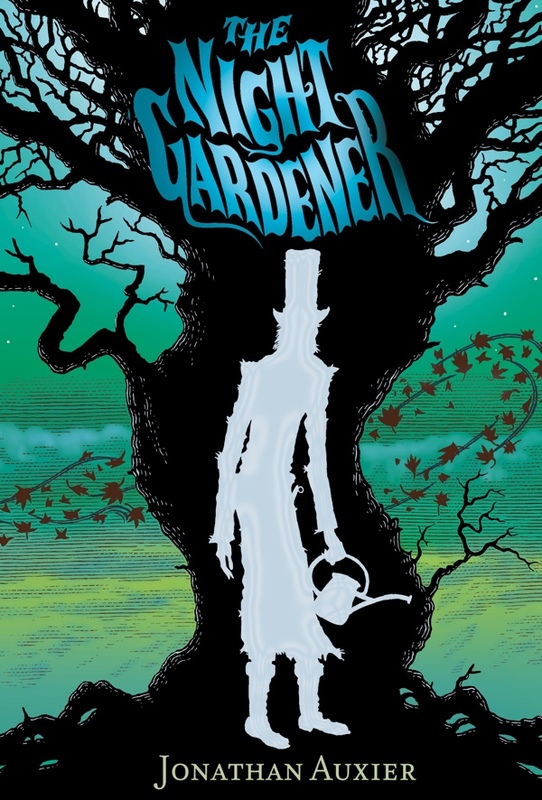 With Auxier’s exquisite command of language, The Night Gardener is a mesmerizing read and a classic in the making. Why Did I Listen To The Night Gardener by Jonathan Auxier? I was so eager to read The Night Gardener by Jonathan Auxier because I enjoyed his debut Peter Nimble And His Fantastic Eyes so much. Granted, I read Peter Nimble back in 2011 and here we are in 2018 and I am JUST GETTING TO THE NIGHT GARDENER. Life comes at you pretty fast, yes? Anyways, I haven’t been much into middle grade lately, but Auxier’s work makes me reconsider that. The timing for this audiobook was perfect. I wanted something I could borrow from Overdrive, that was going to be an easy, low time commitment listen. This book hit all of those checkboxes. Auxier’s story follows two plucky abandoned Irish siblings – Molly and Kip. The two go to work at this large English country house, that at first they can’t find until getting directions from some woman. Molly helps with cleaning the house. Kip helps out with the gardening. As it turns out, there’s a secret about the house. In fact, it is kind of dangerous and may just end up killing them, or at least the tree by the house. We also are in suspense with regards to what has happened to Molly and Kip’s parents. There’s a lot going on with this story but it is worth the time it takes to get to all the reveals and the creepiness and such. What Did I Think Of The Night Gardener? Honestly, I wish that I had physically read The Night Gardener instead of listened to it. I did not retain as much of it as I had hoped — which I could also chalk up to listening to this while in traffic with bad drivers. That kind of thing took me out of the story. I think I will end up re-reading this book so as to better retain it. I really loved the characters of Molly and Kip. I didn’t like the older boy at the house they worked at – Alistair, he was kind of a jerk if you ask me. Penny, the little girl, was super cute though. Also, this book was well written, which is why I want to go back through and read it again. The audiobook is narrated by Beverley A Crick. I am mostly indifferent to the audiobook. Like, it is an okay listen. However, the narration is not captivating enough to take your mind out of awful traffic. However, I guess we can’t win them all, I suppose. I haven’t read much MG, but I’ve started looking into it because of my kiddo. We’ve already gone through the Percy Jackson books, which I LOVE, and I’ve been keeping an eye out for things he might enjoy. This sounds creepy, but like it would be interesting to try! I really loved this one. I think Auxier wrote a really creepy book–at least, I was scared!